Outstanding planting quality requires sustained favourable conditions for cultivation. 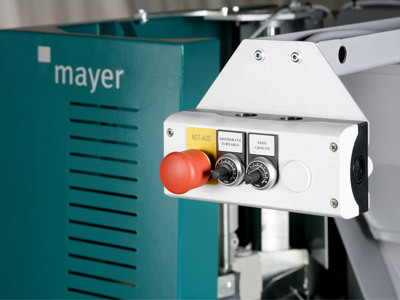 The potting machine Mayer TM 1010F creates these optimally by consistently drilling accurate, central planting holes. 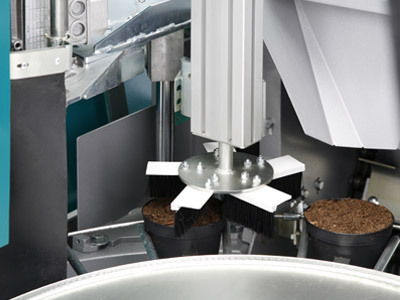 The exact coordination of pot position and pot transfer is fully synchronised. 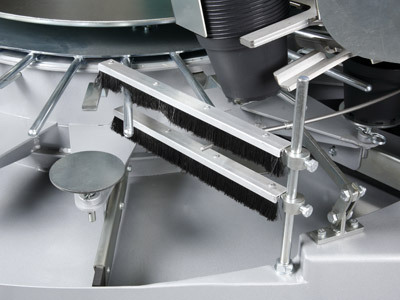 The high degree of mechanical precision also ensures the processing quality of subsequent stations or systems (e.g. automatic planting machines). 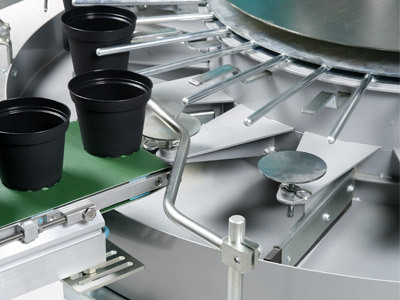 Increased productivity is coupled with particularly convenient handling and controls with the potting machine Mayer TM 1010F: for example, the centrally adjustable pot holder causes considerably reduced set-up times when adapting to different pot diameters. The electronic frequency controls for the turntable and elevator ensure precise output control and are easy to operate via the control panel within the working area. Additional frequency converters for soil conveyor, drill motor and conveyor belt are available with surcharge. Consistently drilling accurate, central planting holes. 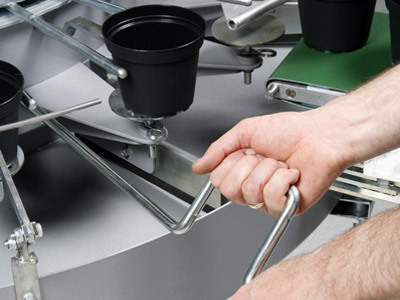 Why choose the Pot Filler Mayer TM 1010F? 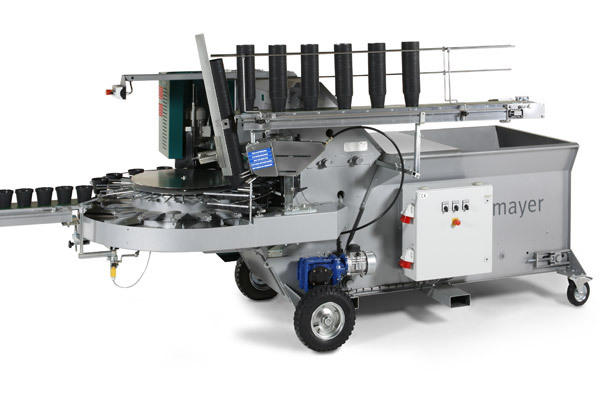 Planting up to 6,000 plants per hour without damaging the plants or roots, it is possible with the Visser transplanting machine PC-11.